Sound has a tremendous power to heal. Check it out. Healing with sound dates back as far as ancient Greece… Apollo was the god of both music and medicine (a strange, but viable combination). Aesculapius was believed to cure mental disorders with songs. The philosophers Plato and Aristotle both claimed that music affected the soul and the emotions. Hippocrates played music for his patients, too. In Ancient Egypt, music therapy was a staple in temples. In biblical times, instruments were used to vanquish evil spirits from human souls. Native American culture used both song and dance to heal the sick. Instances of sound healing therapy are limitless. Fast forward a few centuries, to the 1940s, when the United States Military incorporated music into their programmes for the recuperation of army personnel during World War II. This is often described as the official dawn of music therapy. Today it is used, or at the very least highly recommended, in all aspects of medicine and spiritual growth. While it is still considered an alternative to modern medicine, scores of evidence suggest that it is effective — and also necessary — to our emotional and psychological health. 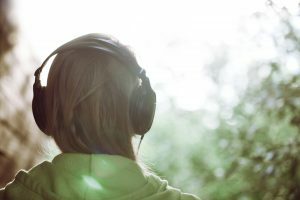 Sound Healing takes advantage of that natural peacefulness one can get from listening and adds time-tested and proven ways to improve the experience. Musical therapy has roots all the way through our history, from Egypt to Greece to the Native Americans. From deep brass instruments to the long woodwinds, you can experience the sounds that resonate not just through the air, but through you as well. Take time to just relax and let your mind open up to the things around you and the world you live in, with all its incredible sights and sounds that we live and breathe. For more information, see original article here.